Both islands of Trinidad and Tobago have a separate but rich histories which have shaped the buildings and other historical sites in each island. Here is our list of the top 10 Best Historical sites in Trinidad and Tobago. The breathtaking sunset views from this well preserved military fort make this a must-see destination. 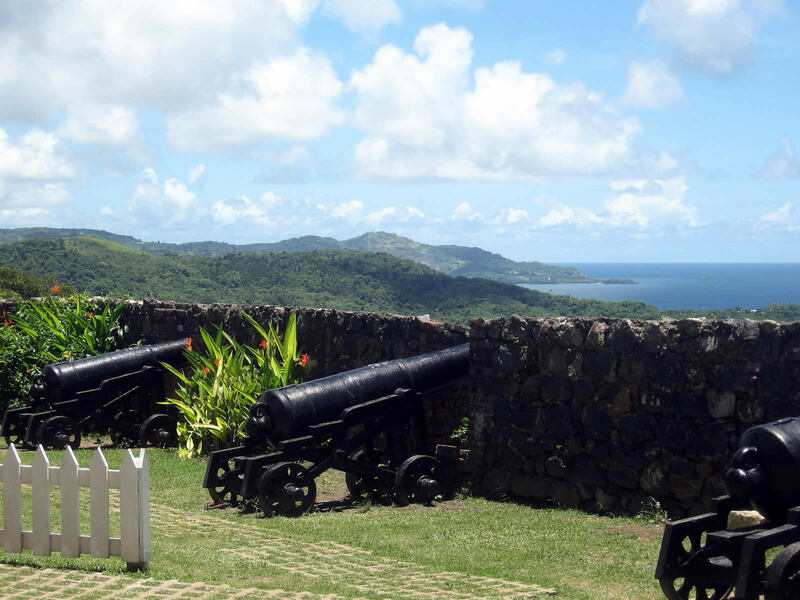 This historical destination which overlooks Scarborough is the best preserved colonial fort in Tobago. 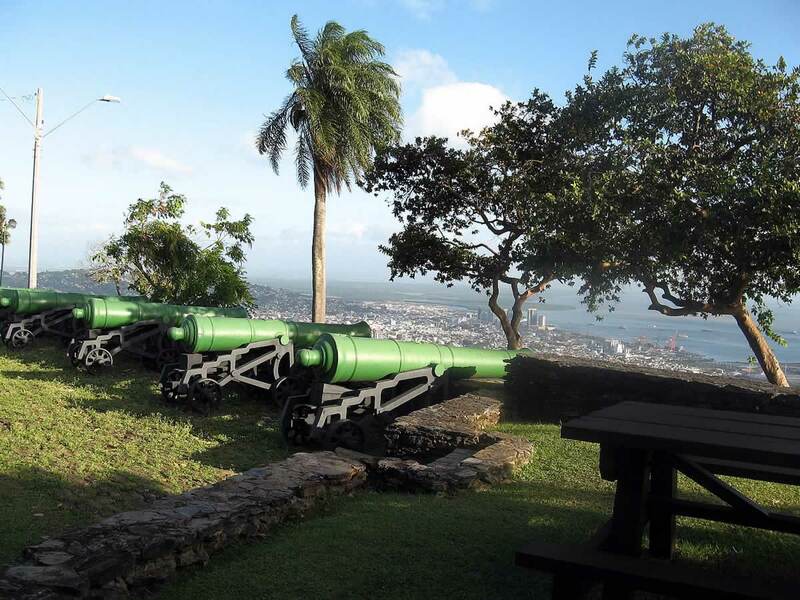 Recently refurbished to return it to its old colonial stature, Fort King George stands as a resilient monument of Tobago's turbulent military past. 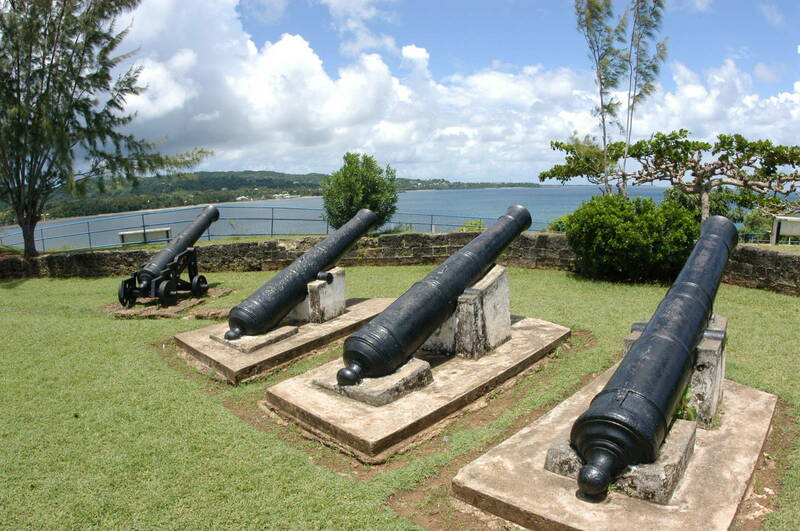 The cannons overlooking the coast are a testament to an era when many battle were waged over Tobago. Built by the British in the 1770s and named in honour of King George the Third, who ruled from 1760 to 1820, the fort is now home to the Tobago Museum which occupies what was once the Barrack Guard House. The Museum exhibits Amerindian artifacts, military relics, shells and documents from the colonial period. The prisoner's bell tank, barracks and officers’ mess are some of the highlights of a walk around the grounds. But for many it is the spectacular vistas that the fort’s high perch over Scarborough affords that makes this a must see destination. 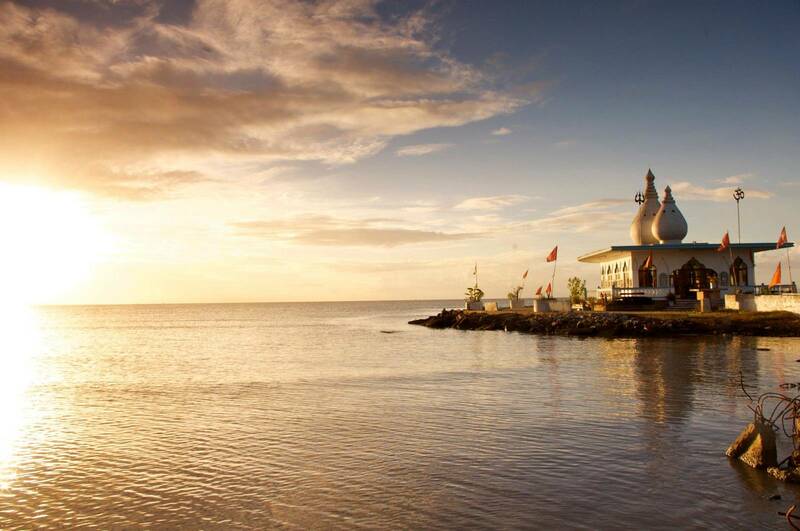 This Hindu Temple at Waterloo in Carapichaima, Trinidad is testament of one man’s love of Hinduism. The Temple was the 25-year attempt of Siewdass Sadhu to construct a worship centre at no-man’s land - the sea. Sadhu was denied land to build his beloved temple and took his struggle offshore, toiling and unloading buckets of dirt into the Gulf in an effort to create artificial land. This Hindu temple was built through perseverance and strength. The Waterloo Temple, better known as Temple in the Sea, is an octagonal- shaped colourful structure. At the entrance of the temple, stands a statue of its designer Seedas Sadhu. Flags and statues adorn the temple’s perimetre. Before entering, you must remove your shoes because once inside, you are on holy ground. The beauty of reverence is reflected in the well-crafted murtis of Lord Hanuman, Lord Ganesh, Lord Shiva and Mother Durga and flowers adorned around them. The temple was first built in 1947 by indentured labourer Sadhu, whose dream was to build a place of worship. That dream was short lived as, five years later, it was destroyed by the government of the time since it was built on State-owned Caroni land. Not discouraged, Sadhu rebuilt the temple - this time in the sea to avoid the further incident. For the next 25 years, Sadhu dedicated himself to completing the temple. On his bicycle and in a leather bag, he carried stone by stone, assembling the base of the temple. In 1994, the government at the time helped finish the temple in commemoration of the 150th anniversary of the coming of Indians to the country. A pier was added to ensure the Waterloo Temple could easily be accessed during high tide. Built by Charles Fourier Stollmeyer in 1904, Stollmeyer's Castle named Killarney was the first of the Magnificent Seven to be constructed on the western side of the Queen's Park Savannah.The castle, which is said to be Scottish Baronial in architecture, stands as a distinctive building in Port of Spain is rumored to be modelled on Balmoral Castle in Scotland. 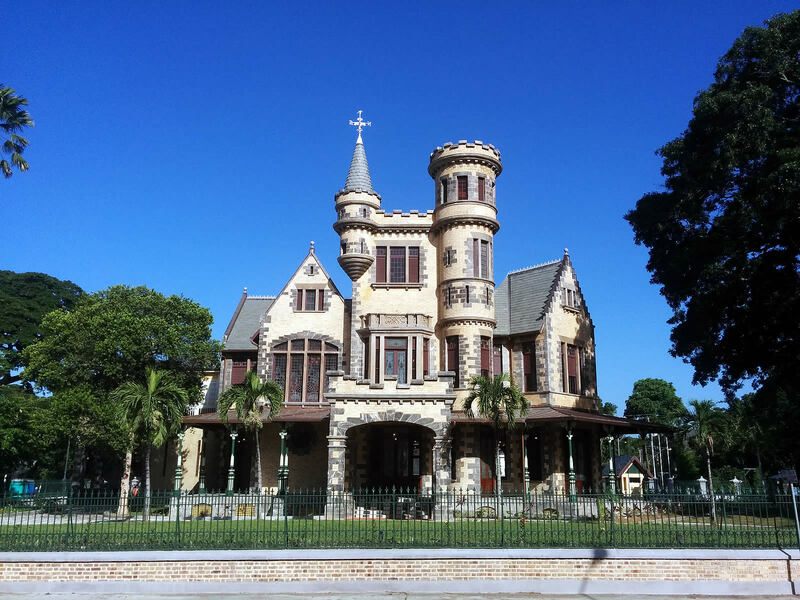 Built with imported brick trimmed with hand-hewn limestone, Italian marble and topped with turreted features, the elaborate structure of Stollmeyer's Castle brings a tour of the Magnificent Seven to a truly magnificent close. Located in Plymouth - one of Tobago's oldest towns - this Fort overlooks Great Courland Bay on a well manicured headland which makes this destination excellent for sightseeing, relaxing and picnicking. Named after James, Duke of Courland, Fort James located in the quiet town of Plymouth was established first in 1760's by the British as a barracks. Overlooking Great Courland Bay, the remaining stone edifice and the four cannons sit on a well manicured headland which makes this desination excellent for sightseeing, relaxing and picnicking. The British army maintained a picket post here which in 1770 was attacked by rebellious slaves. In 1777 a four gun battery manned by the militia was erected to protect the shipping lanes in the Bay. In 1781 the Fort came under attack by the French who captured and occupied it until the island was recaptured by the British in 1793. The Fort is also located in close proximity to two other famous attractions in Plymouth: The Mystery Tomb of Betty Stiven; and the Courland Monument. 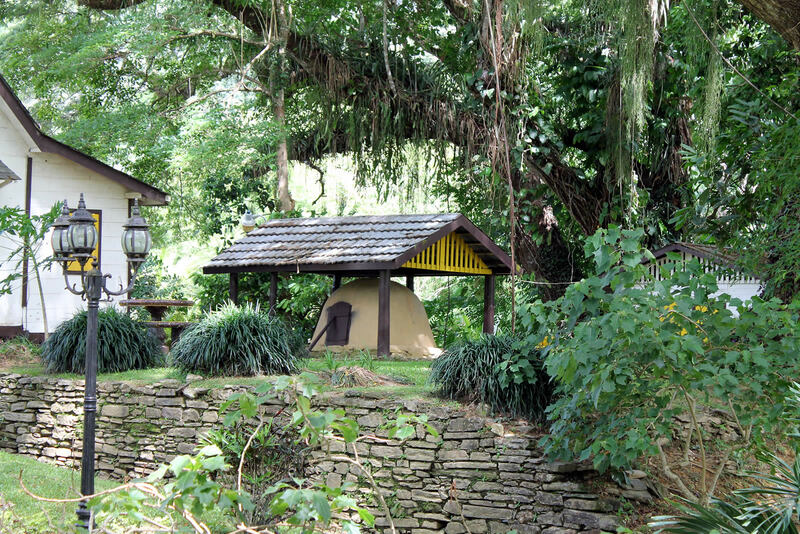 Know as the home of Parang due to its Venezuelan heritage, Lopinot, a restored agricultural estate is the home of one of the most picturesque destinations in Northern Trinidad. If you find yourself at Lopinot on a rainy night, you might be face to face with the ghost of Charles Joseph de Loppinot de la Fresilliere - a French Count who came to Trinidad in 1800 - as he roams about his estate house located in the northern village named after him. In 1806, Loppinot was granted 478 acres of land by the King of England and planted cocoa on this scenic area of agricultural land which he called La Reconnaissance. The restored estate house has been made into a small museum which displays some Amerindians artifacts. There is a recreational park and a savannah located to the north of the museum. Carat sheds are located along the river, especially for the picnickers who like to wade or even bathe in the cold water. Picnic benches and tables are also available for those who prefer shady trees and dry ground. This sculpture was built to honour the early settlers to Plymouth who came from Courland (now called Latvia) It was created in 1976 by a local artist and sculpture and represents "freedom". 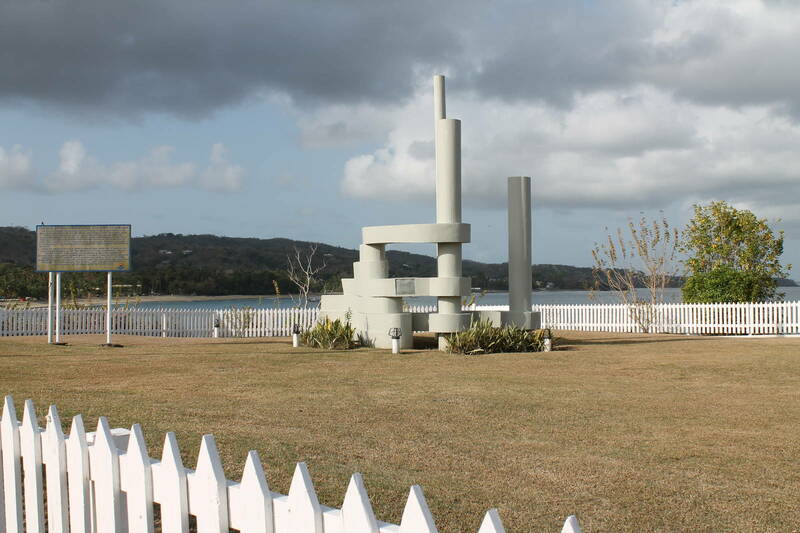 The monument offers a great view of Courland Bay and is located next the Fort James. The site is sometimes visited by persons of the Latvian community to honour and celebrate the history of their ancestors in Tobago. Queen's Royal College was opened on March 25, 1904 at Queen's Park West by Governor Sir Alfred Maloney. Presently, Queen's Royal College has been reformed to one of the oldest Secondary schools in Trinidad and Tobago. The foundation stone for the building was laid on 11 November 1902, by Sir Courtney Knollys, who was the acting Governor of the day. Daniel M. Hahn designed the structure. Hahn was Chief Draughtsman of the Public Works Department and a past student the College, during the period when the school was housed at the Princes Building. Notwithstanding the German origin of the plan, a legacy perhaps of Mr Hahn's student days in Berlin, the design of the interior is very definitely tropical with a delightfully aristocratic touch from the days when European school architecture was austere. This house is one of the Magnificant Seven. 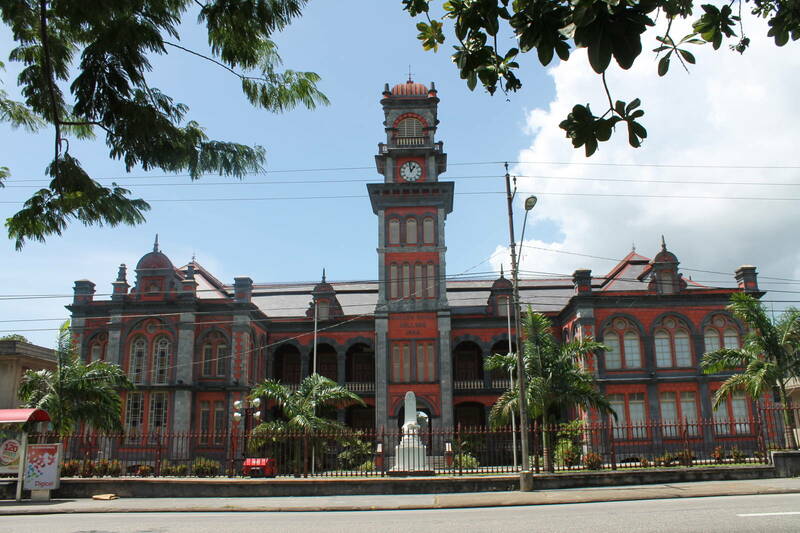 The structure was built in 1903 by the fifth Archbishop of Port of Spain, Patrick Vincent Flood. 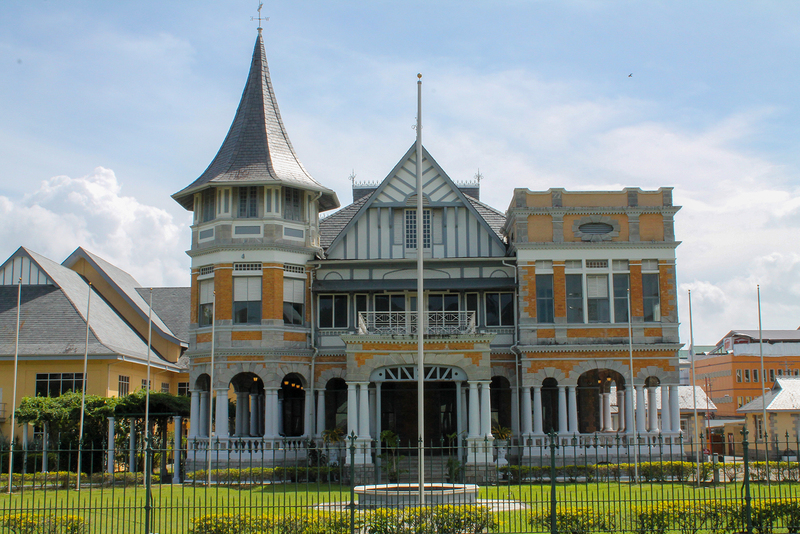 It is also known as the official residence of the Roman Catholic Archbishop of Port of Spain. This house is one of the Magnificent Seven located around the Queen’s Park Savannah. 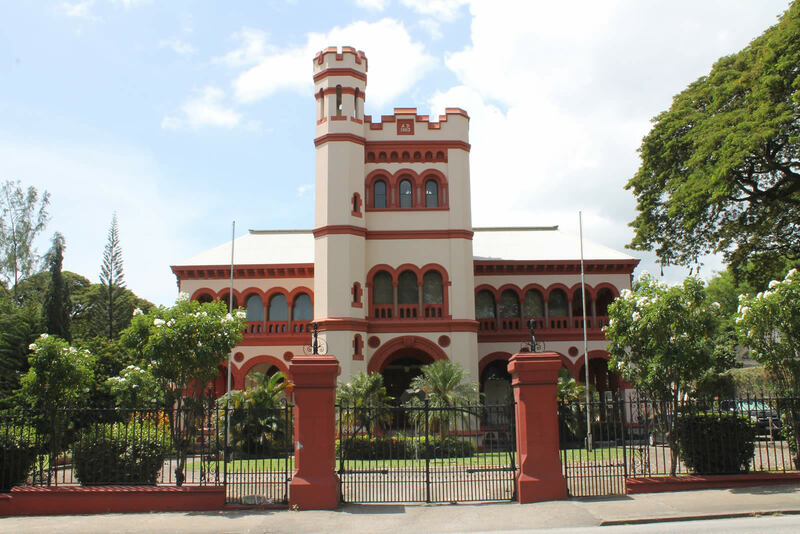 The Archbishop’s Palace was built in 1903 by the fifth Archbishop of Port of Spain, Patrick Vincent Flood, at a time when the wealthy estate-owning French Creoles were building on Maraval Road. In keeping with the dignity of his office, the Archbishop decided to construct a palatial residence. The plans for the proposed structure were drawn in Ireland by an Irish architect who obviously had leanings towards the Indian design. Construction was carried out by George Brown of the Trinidad Trading Company and the building was completed in 1904. It is also known as the official residence of the Roman Catholic Archbishop of Port of Spain. The Knowsley Building in Port of Spain is a beautifully constructed building worthy of being among the Magnificent 7. Located on the southern side of the Queen's Park Savannah sits this glamourous building of such architectural quality that it really should belong to the set of uniquely designed colonial buildings located on the western side of the Queens Park Savannah referred to as the Magnificent Seven. Facing the Savannah, Knowsley is bounded by Chancery Lane to the East, Dundonald Street to the West and Albion Lane to the south. Originally built in the year 1904 as the residence for Mr William Gordon, a prominent city merchant, the building was designed with yellow bricks and hand hewn local limestone which adorns most of the colonial structure. The original veranda was made from marble imported from Italy and the original inner staircase was made from wood imported from Guyana. Additionally, an Italian artisan was responsible for the gesso work done to the ceiling of the ground floor. After being underutilized and almost abandoned for many years, the government of Trinidad and Tobago in 1956 bought the building and restorative work was undertaken. Soon after works were completed the building was handed over to Ministry of Foreign Affairs and it now houses an arm of the Ministry of National Security of Trinidad and Tobago.